For those that don't know me, I’m not a big non-sport card collector. But, I’m a huge Star Wars fan, so I do own a few pieces of Star Wars cardboard. On the eve of “May the Fourth” I decided to show off a few of Star Wars PC sketch cards. Normally, I would give you a detailed rundown on the cards, but because I pay little attention to non-sport I’ll only be giving you the basics. 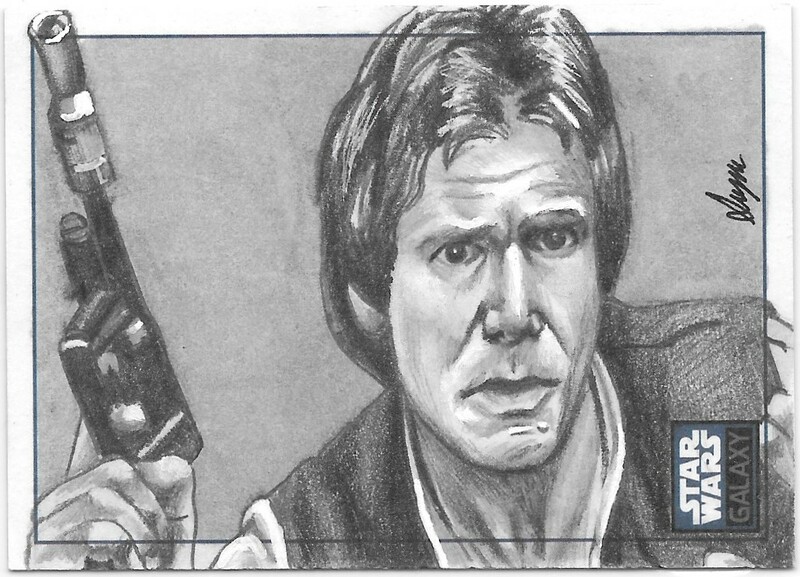 This sketch of Han Solo and his blaster is from the 2010 Topps Star Wars Galaxy series six. It is a 1/1 and the artist is Stephanie Swanger. Han frozen in Carbonite is my favorite sketch of the three. It is also a 1/1, but this one is from 2009 Topps Star Wars Galaxy series five. The artist of this piece is a mystery to me. 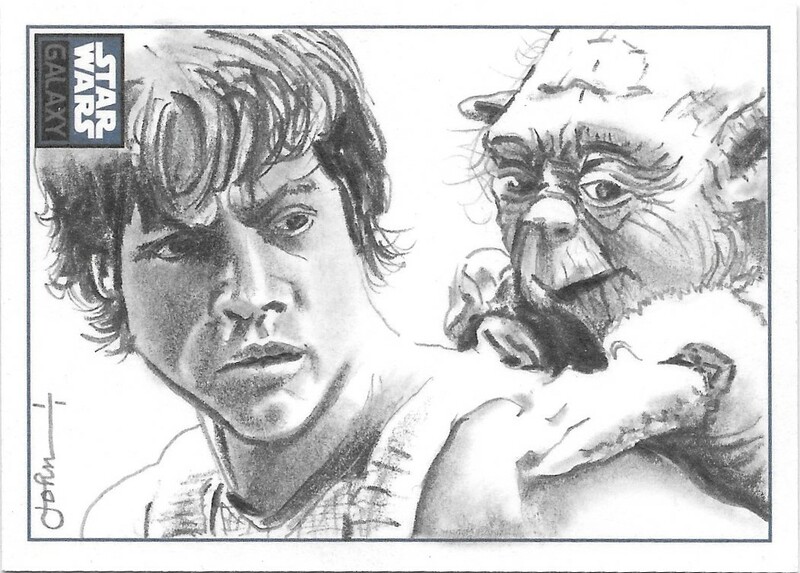 This sketch of Luke and Yoda on Dagobah is sweet. It is also from the 2010 Topps Star Wars Galaxy series six. It is a 1/1 and the artist is John Haun.